After 6 months of negotiation the new JV Blu Bud Far East ltd is finally operating in Shanghai since July the 1st, 2016. 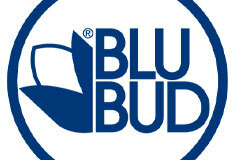 New JV is joining Blu Bud srl and SMEC ltd, our Chinese partner based in Shanghai. Blu Bud Far East mission is to provide ship owners full turnkey services and interior maintenance for cruise ships in the Far East area. Blu Bud Far East is the right partner for engineering, logistic and material supplies for interiors for new buildings at the Chinese shipyards in Shanghai and Tianjin in the coming years.